Conley wows them at Milton Keynes. Cinderella opened with a magical moment when Fairy Gok Mother welcomed the audience to a captivating scene of spectacle whilst sitting on a half moon with glittery smoke beneath making it dreamy and fantastical. With that it set the mood that this was going to be really magical. 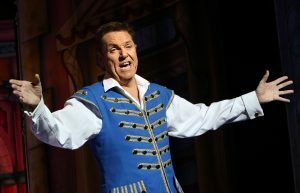 Then a short trick using a stack of luggage that formed a door which was used to introduce the star of the show Brian Conley. 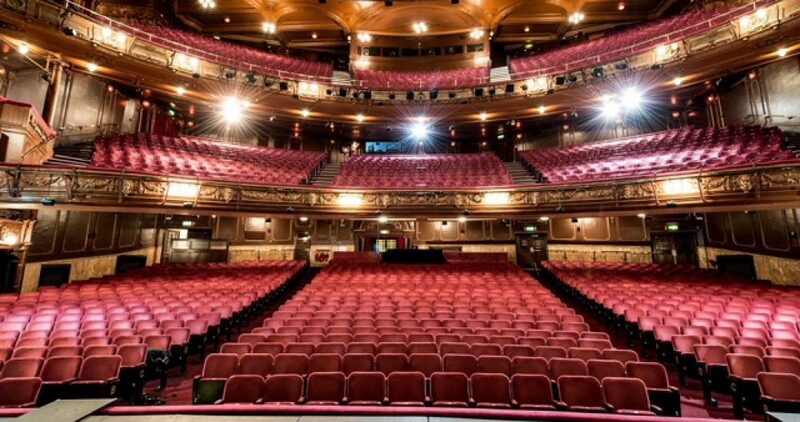 The moment he set foot on that stage raucous laughter could be heard from all sides of the theatre. He had indeed arrived and his story telling truly captivated the audience. 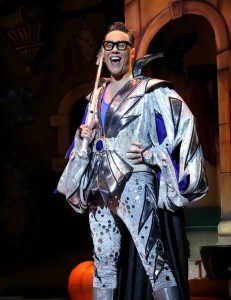 Unfortunately I was in danger of forgetting that I was watching a panto as Brian’s Buttons totally dominated the story of Cinderella. This engaging artist truly awakened the audience and his delivery of jokes really brought the house down. The production also rightly boasts beautiful sets and wonderful costumes. IThe only thing that did not impress me were the ugly sisters. They were rarely very funny at all and they even seemed to fade as the story went on. 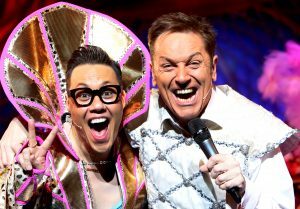 This was more than made up for by Brian and Gok Wan who had such chemistry which really was the highlight of this production. There was another highlight when the carriage brought huge delight to the audience as it started to move towards the audience reminiscent of Chitty Chitty Bang Bang. 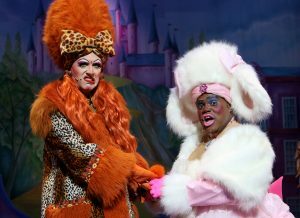 Cinderella is at Milton Keynes Theatre until Sunday 14th January.